Coming soon! 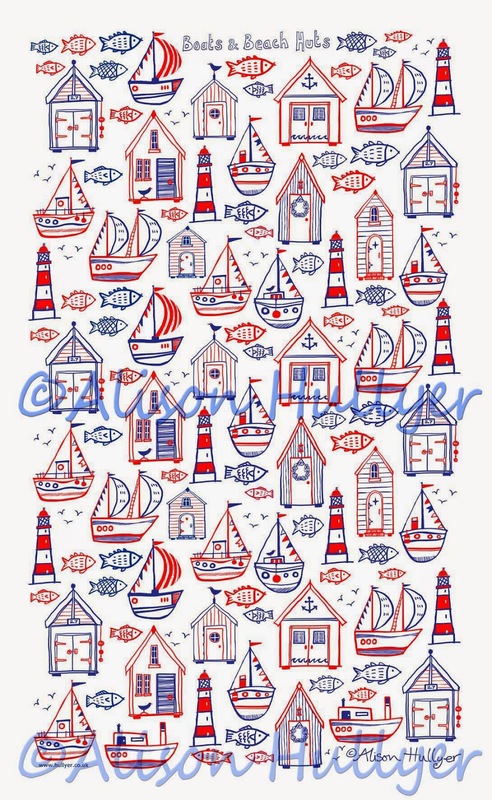 A new tea towel design featuring Boats and Beach Huts (plus a few fish and light- houses) in a nautical navy blue and red colour way. They will be available on white or unbleached cotton. They should be here by the end of September and available from my online shop. 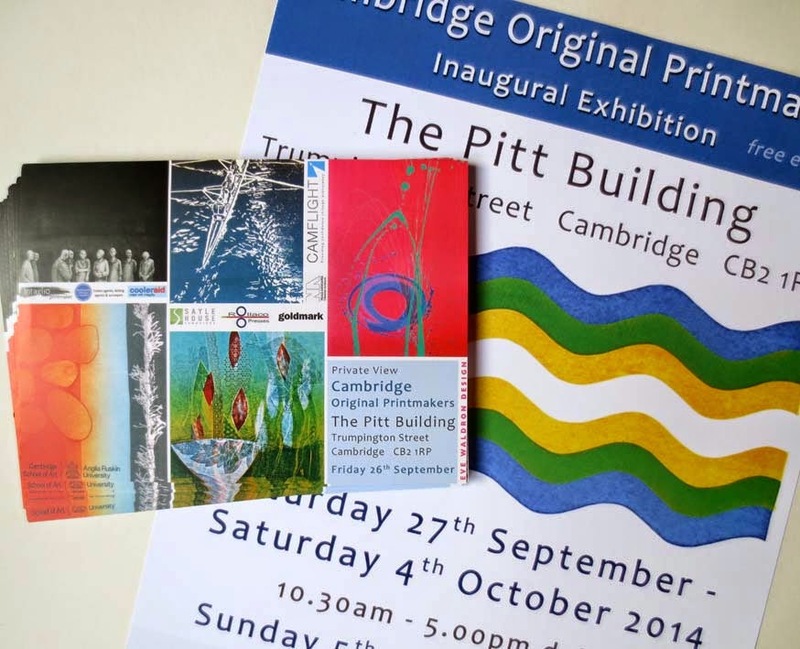 And you can also buy them direct from me at my festive events in November. 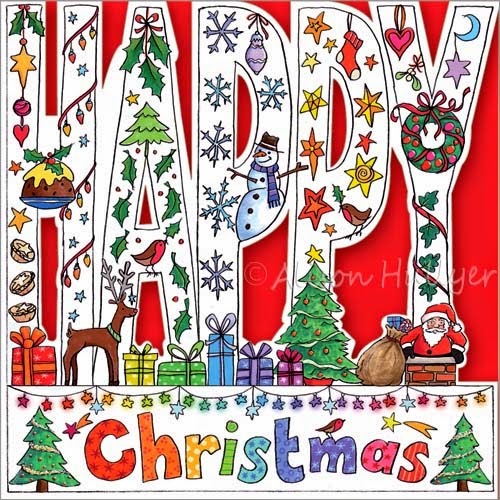 I've held off until September to mention my two new Christmas card designs for Phoenix Trading. 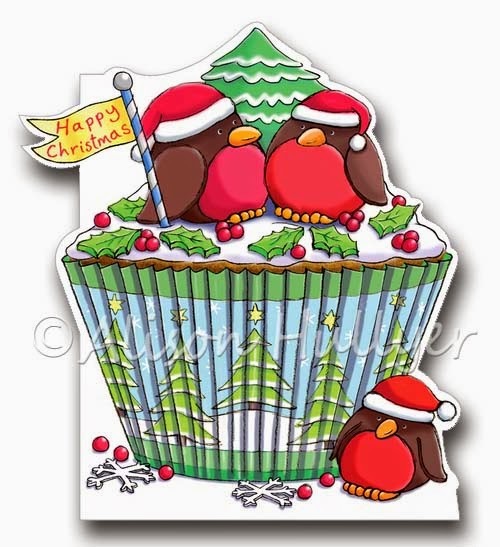 This is the new little Robin Cupcake, sold in packs of 10 for £2.75. It joins the other three in the range. 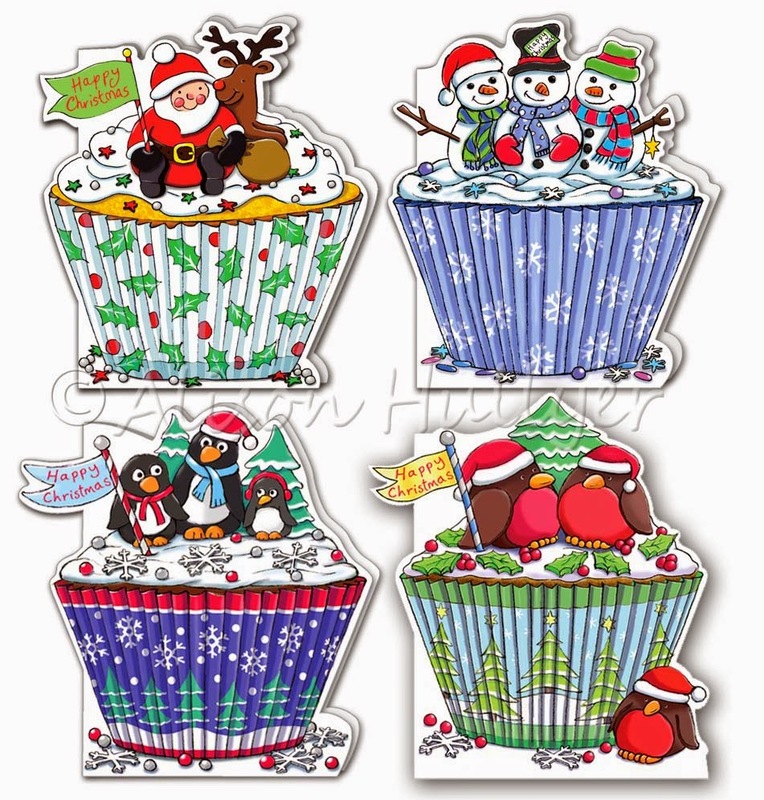 The first of which was the Santa Cupcake, which has now sold over 200,000 cards. This is the first 'single' Christmas card I've designed. It sells for £2 and comes with a funky gold starred red envelope. A percentage of sales goes to the Phoenix International Charity and since 1995 they have raised over £1.6million for good causes.